When oncologist Renato Martins finished his medical training, advanced lung cancer was almost certainly a quick death sentence. “I knew, by name, every patient who had survived two years,” he says. Thanks in large part to the arrival of cancer immunotherapy, things are much different today. While lung cancer remains by far the leading cause of cancer death, immunotherapy now offers patients with advanced disease—Stage 4 cancer that has spread to other parts of the body—at least the chance to live longer than previously thought possible. Here’s a recent example. In one study, 16 percent of 129 patients receiving an immunotherapy were alive after five years. That low percentage might not sound encouraging, but the typical five-year life expectancy for patients with non-small cell lung cancer, or NSCLC—the most common form of the disease—between 1999 and 2010 was about 10 percent for some Stage 4 patients—and less than 1 percent for others whose cancer had spread widely, according to the American Cancer Society. For Martins, the medical director of thoracic/head and neck oncology at the Seattle Cancer Care Alliance, it’s a big deal. The cost of cancer care is also changing, but even with national concerns over healthcare costs, Martins and others have yet to see pushback from payers. Immunotherapies on their own cost around $13,000 per patient, per month, or roughly $150,000 per year. That means big money for their developers: Last year, Bristol-Myers Squibb’s (NYSE: BMY) nivolumab (Opdivo) generated nearly $5 billion in sales, and Merck’s (NYSE: MRK) pembrolizumab (Keytruda) pulled in almost $4 billion. More change looms. Study results released earlier this week could make pembrolizumab a go-to drug even without chemotherapy in previously untreated patients. And in a few days, three more studies in similar patient populations will be featured at the American Association for Cancer Research’s annual meeting in Chicago. Each could add more options for people newly diagnosed with advanced NSCLC. These studies are known as Keynote-189 (from Merck), Checkmate-227 (from Bristol-Myers Squibb), and IMpower150 (from Roche); all are testing immunotherapies known as checkpoint inhibitors combined with treatments such as chemotherapy. Merck still needs to fill in details of Keynote-042, but it could lead to a new way of thinking about treatment, says Martins, putting immunotherapy first and making chemotherapy a potential supplement for newly diagnosed patients. Lung cancer specialists interviewed by Xconomy are eager to see the details from these studies and expect when the dust clears to have a wider range of treatment options to sort through. 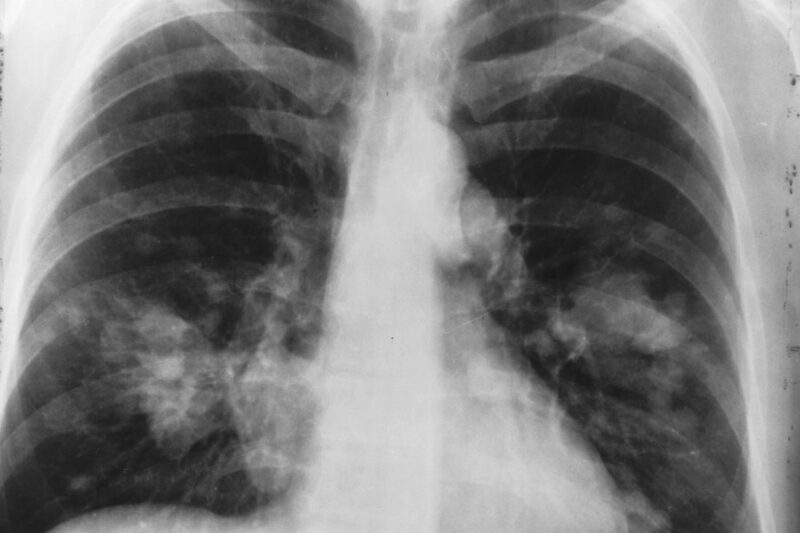 For decades, chemotherapy was the main option for patients with advanced lung cancer. Then came targeted medicines, which hone in on mutations in tumor genes like EGFR and ALK and are often easier to tolerate than chemotherapy. But most lung cancer patients don’t have these mutations, and the large remaining pool is where immunotherapy has begun to make its mark. Despite all this progress, immunotherapies still only work in roughly 20 percent of patients. The race is on to figure out why and do better, which brings us to the upcoming AACR presentations. Data from Checkmate-227, Keynote-189, and IMpower150 are all due Monday morning. Xconomy asked lung cancer specialists who aren’t involved with those trials what they’ll be looking for.